Missing the warm croissants, cheesy omelettes and Nutella crepes of Paris? For those of us not fortunate enough to live in the City of Light (which is pretty much most of the world), those cravings for France (and French food) come all too often. 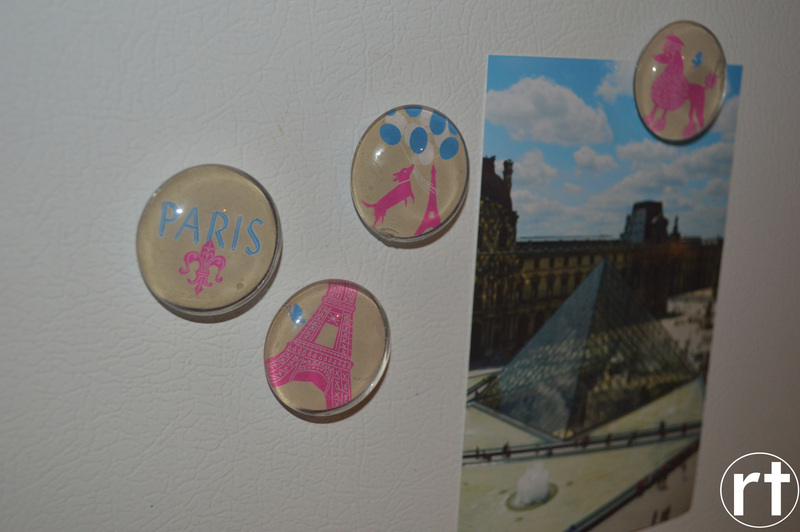 While it’s not easy to travel to or live in Paris for a great deal of time, it’s much easier to bring Paris to you. A simple way to do that is to have “An Evening in Paris” soirée. 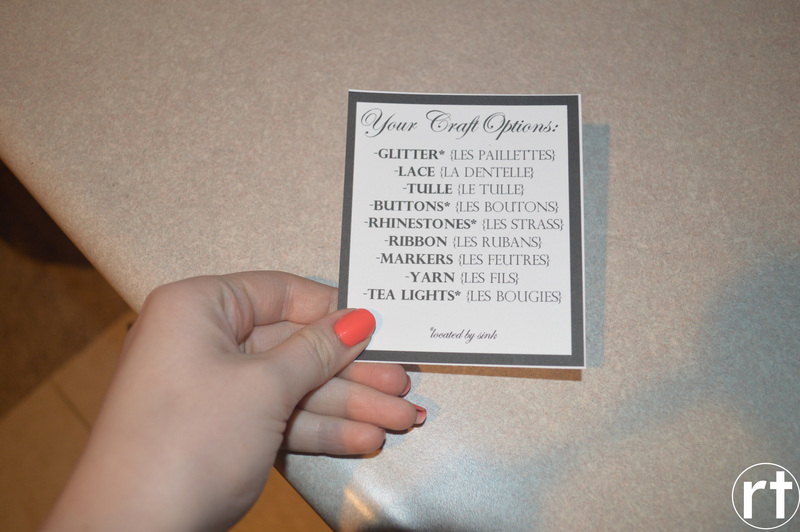 And here are some quick steps for the ultimate party for all things Paris. Planning a fantastic menu for a French party is absolutely essential, but you don’t have to be a five star chef to achieve it. I was even surprised that French foods were more easily accessible back at home than I’d imagined. Head to your local grocery store for some French cheeses like brie (but I’d recommend not eating the white stuff) or even Laughing Cow. And don’t forget the bread: baguette, croissants or (if you’re like me…) crescent rolls. Thanks, Pillsbury Doughboy! As far a main dish goes, quiche is a solid choice and can be easily served for large groups of people. To top off for dessert, choose some eclairs, macaroons, chocolate fondue or even French vanilla ice cream. And as far as beverages go, there’s always sparkling water, a European staple (and I have yet to acquire this taste). But if you visited France and tried their version of Fanta, you might love the fact that some Trader Joe’s offer a similar drink called Orangina. Unfortunately, the Eiffel Tower will probably be booked the weekend you’re having your party and thus can’t be shipped to your doorstep. But there are some other options that can bring the ambiance back. An easy activity is popping in a movie set in Paris. I went with Midnight in Paris with Owen Wilson. But there’s also fun, girly movies like Monte Carlo with Selena Gomez or classics like Funny Face with Audrey Hepburn. 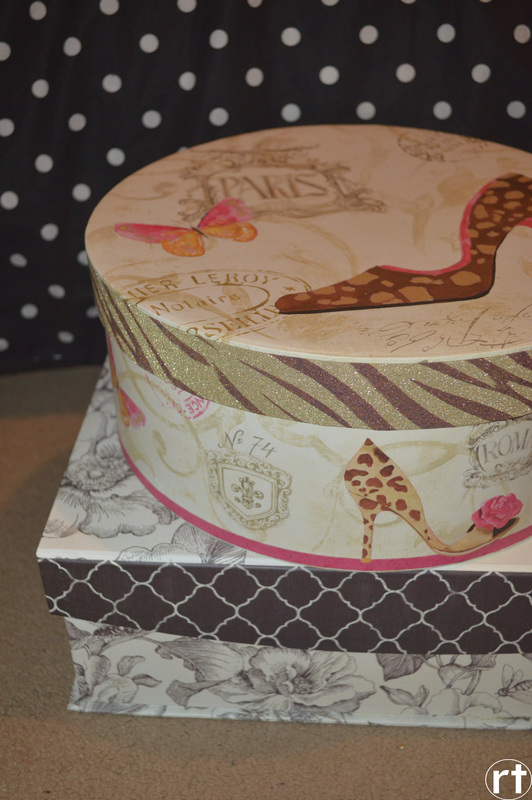 If you want a more involved activity, try a craft. 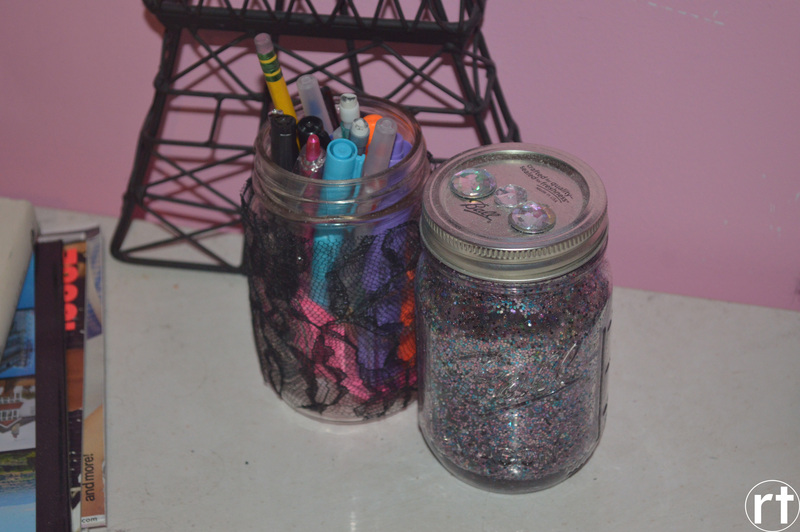 For my party, I chose to play off of Paris’s nickname “City of Light.” My guests were each given a clean mason jar and could decorate it with glitter, lace, jewels, tulle, etc. Afterwards we put in tea lights to make it a candle. This was a hit considering my friends still tell me they’ve kept theirs. I even keep mine on my desk! While it’s pretty hard to match the romantic charm of Parisian architecture and the allure of the Seine, there are several ways to spruce up your living room or basement. 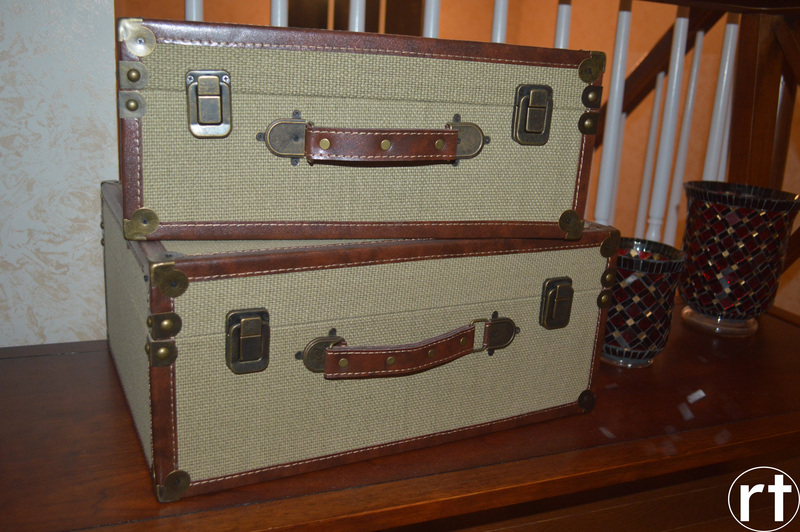 Placing luggage trunks throughout the room will give it a travel feel. To play off the name of City of Light, string some Christmas lights throughout the room and add some mason jar candles or tea lights sitting on doilies. Classy. Elegant. Even just draping pearls off chair backs and other Paris house decorations will bring the ambiance of the room up higher than the view from Sacré-Coeur. 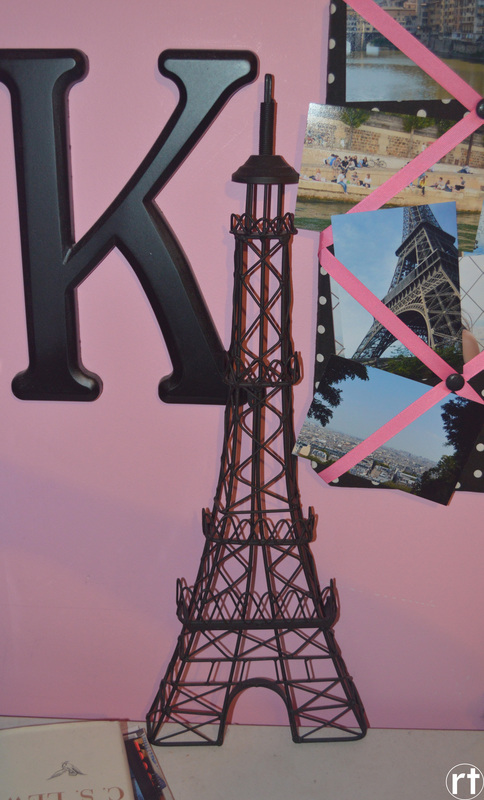 And if you have been to Paris, some cheap, easy decor would be to showcase some euros or even some tickets/shopping bags from your vacay. 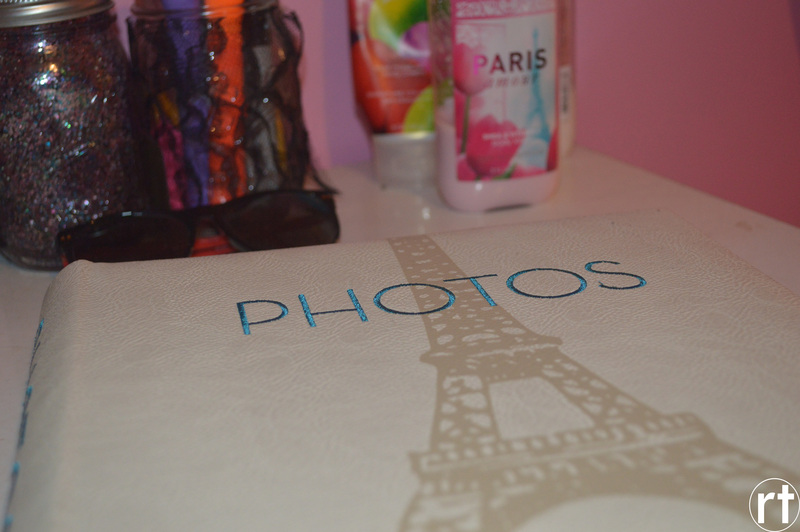 Another huge winner is showcasing your photos from previous trips to Paris whether it be on a collage board or in a scrapbook. For my party, I also had landscape photos I’d taken there along with some shots with friends printed out. I strung up several rows of twine and clothespinned the pictures up. This was a really fun way to see the city and remember the trip I’d taken with some of my guests. Spotify. Spotify. Spotify. Is pretty much the best thing ever because you can sample all kinds of music in English. But even better, you can try out French music, make a playlist and jam to it at your party. Some artists I’d recommend would be Stromae, Indila, Maître Gims and Jenifer. And I’m pretty much obsessed with the Monte Carlo soundtrack which includes some French songs. 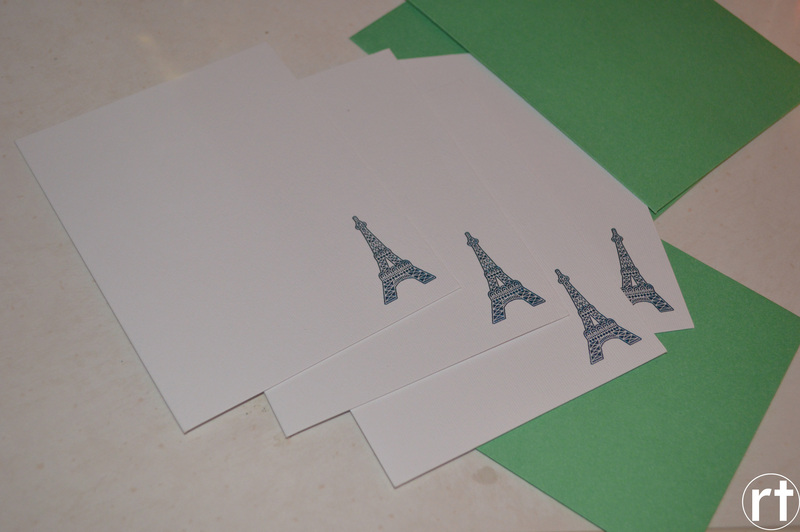 Another way to totally carry out the French theme is to have name cards for food or craft items with the words in French. This is great way to learn several French words and really keep the theme running the whole night. 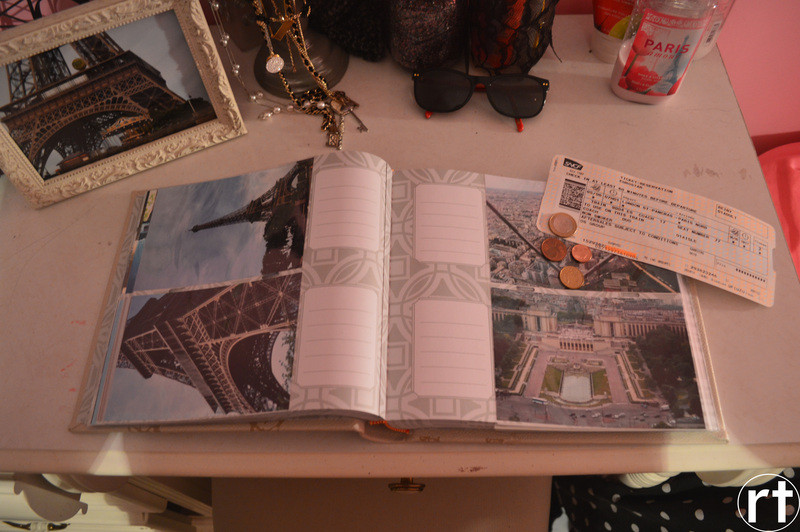 And to finish it all off, don’t forget Paris themed stationary to write thank you notes! So even though it’s not a trip there, a Parisian soirée is a cheery way to bring back good memories and educate your friends on French culture.